Amazon customers in the USA have been able to buy food along with their books and other entertainment for some time. 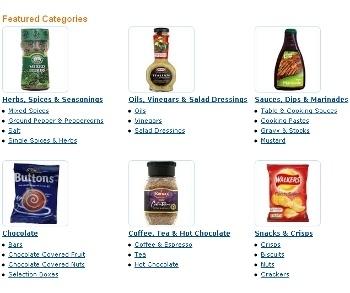 UK customers haven’t had that choice but today that’s changing with the launch of a groceries section on Amazon.co.uk. Stocking everything from bread to baby food, beer to biscuits, payment is either via a £49 annual subscription fee for one-day delivery or via Amazon’s standard delivery options. Items aren’t stocked by Amazon directly, instead it is partnering with a number of third parties to dispatch goods. The move follows Amazon’s introduction of a UK mobile MP3 store on Android phones in January, something American users had access to from October 2008. Amazon is entering a crowded marketplace for online groceries. Supermarket brands like Tesco, not to mention online-only services like Ocado, are already well established in the UK. Will shoppers switch to Amazon for their weekly shop? Only time will tell whether they’re happy to buy fruit and veg from the same company that sells them books. That said, Tesco started with food and has expanded into Amazon’s territory so why not? Amazon’s move comes at the same time as rival online grocer Ocado is planning to float on the London Stock Exchange. Having another major player burst onto the market is likely to throw a spanner into the works there. Read next: Has Twitter become the king of topical search?